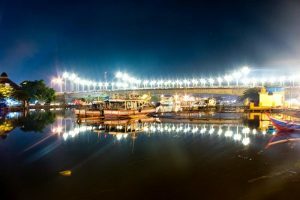 Known as a trade hub since the 16th century, Padang has grown to become the largest city on the west coast of Sumatra and act as a capital for the West Sumatra province, Indonesia. 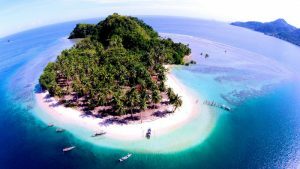 It is strategically located in the heart of West Sumatra and connected to a port, which makes it an excellent transit point for people who want to visit neighboring islands and regions. There are many backpackers passing through this city, therefore, the number of budget accommodations is quite high. Padang is also known for its culinary delight, the local food in here is popularly known all over Indonesia for its unique spicy taste with amazing sauces and broths. In fact, almost every other major city in Indonesia have a Padang Restaurant. Padang is also known for the Minangkabau traditional house’s distinctive architectural style, the Rumah Gadang. There are 3 main ethnic groups native to this area, the Minangkabau, Mentawai, and Nias. 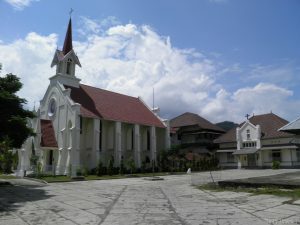 During the 20th century many transmigrants from Java, Batak, Madura, and other regions also come to this place to settle and coexists with the locale. Due to its location between the two major intercontinental plates and also the Great Sumatran Fault, Padang is extremely prone to earthquake, as is the whole West Sumatra. 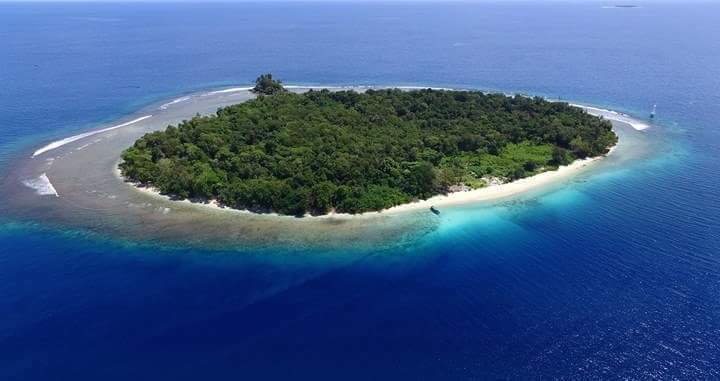 Last recorded tremors were the 2010 Mentawai Earthquake which occurred with a magnitude of 7.7 Richter scale. 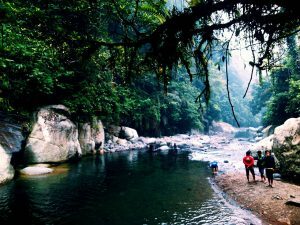 There are many interesting spots to visit in Padang. From beautiful beaches to the impressive historical landmark, a trip to Padang will surely bring a whole new experience to every traveler. Here are some of them. 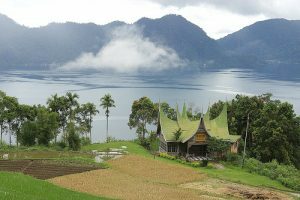 This archipelago off the coast of West Sumatra are famously known for their unpredictable currents and strong winds, hence they are very popular among surfers. 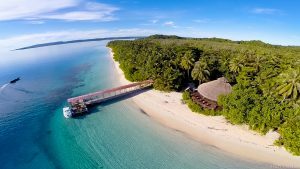 Wave riding thrill-seekers from all around the globe flocked to Mentawai just to ride the waves and most of them acknowledged it as the ride of their life. The islands themselves are isolated from the outside world until the 20th century so most of the islands still retained its natural image, largely untouched by modern civilization. Since the 2004 Indian Ocean earthquake, the tsunami activity around this area has increased although not as devastating as 2004 one. This beach garnered popularity as the place where Malin Kundang stone is located at. The statue itself is derived from the legend about an insubordinate boy who was so perfidious that he was cursed by his mother. 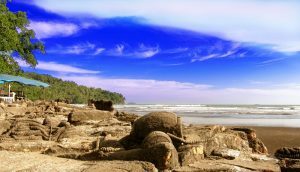 According to the legend, Malin Kundang turned into a stone on this beach after his ship run aground due to his mother’s curse. You can find the so-called stone in here, resembling a man who was kneeling down and asking for forgiveness. 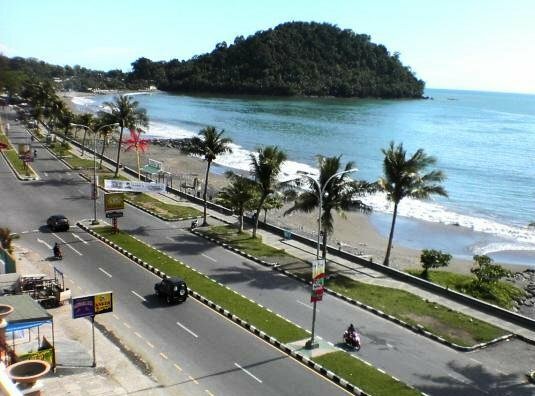 The beach is located about 12 kilometers from Padang and it has an enjoyable natural view. As a result, it’s a super beautiful beach that you ever visit. This bustling port was once made famous by a popular song of the same name, sung by Ernie Djohan in the 60’s. Teluk Bayur is the reason Padang became an important transport hub, as the port is known as the largest and busiest port on the western coast of Sumatra. Many international and domestic cruise and cargo ships made their transit here, either heading to or from Indonesia. Here, visitors can enjoy the immersive experience of observing the docking activities of various ships in person. The bridge owes its name to the famous woman from Marah Rusli’s novel, Siti Nurbaya. The story is about a modest girl who falls in love with a handsome man named Samsul Bahri and they are about to get married. But Siti’s parents owed a huge debt to a powerful old man who has many wives, Datuk Maringgih. In lieu of payment, Datuk Maringgih planned to take Siti Nurbaya as his wife instead. Knowing this, Siti chose to end her life by drinking poison. Siti Nurbaya bridge presents a natural and wonderful place to do some sightseeing and enjoying the Indies ocean from the hill. There are also a lot of Japanese bunkers and cannon remnants around this area. Then, this bridge came from fiction to a real world. This tropical paradise serves as wildlife preservation and observation. A delight for every botanical enthusiast, visitors could observe 352 species of protected flora and 170 species of protected fauna in this reserve. Take a look at a variety of endemic plants and animals unique to West Sumatra, especially the notorious Rafflesia Arnoldi. Sir Thomas Stamford Raffles, governor of British administration, and the botanist Joseph Arnold find this extraordinary flora during their expedition around 1818. The flower’s name is a combination between Raffles and Arnold’s name, as they both found it together. Rafflesia Arnoldi is the biggest flower in the world that releases a putrid smell to attract nearby animals as its victim. The flower could measure up to 1 meter in diameter and usually have a bright red color with brownish or white dots. The foul stench emanating from the flower give rise to its nickname, the corpse flower. Things to do in Padang Indonesia, this West Sumatra’s official museum of Indonesian culture is located in Padang. The name Adityawarman derives from the king of Malayapura (the kingdom that rules over Minangkabau area) during the 14th century. 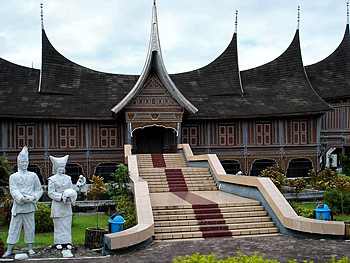 This historical museum features the Minangkabau cultural heritage and also some Indonesian heritage as well. The main collection of this museum is categorized into 10 main categories. The main categories are Geology, Biology, Ethnography, Archaeology, History, Heraldry, Philology, Ceramology, Fine Arts, and Technology, and each has their own set of items. 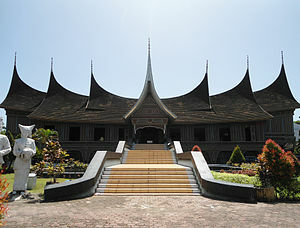 The museum building itself is a fine example of the Minangkabau traditional house, the Rumah Gadang. 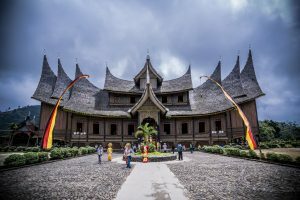 Visitors could learn a lot about the Minangkabau people history in this grand museum. As the Royal Palace of the former Pagaruyung Kingdom, the Pagaruyung Palace is the place where royal families of Pagaruyung Kingdom lives until 1833. 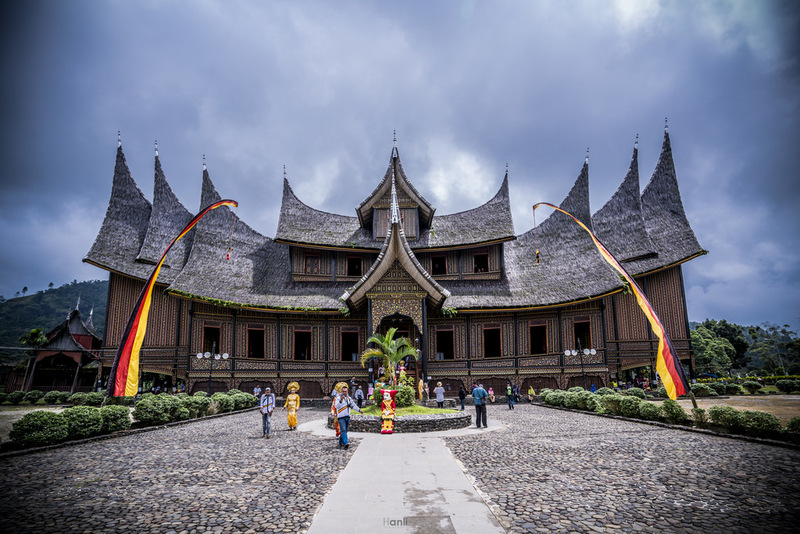 With a 3-story structure and vernacular architectural style, the palace resembles a larger version of Rumah Gadang. The Palace has been destroyed by fire and rebuilt several times. The original version was built using timber masonry, but now they use the concrete-based building to increase the durability. Visitors can see a lot of antique Minangkabau artifacts and furniture here. Since most of the artifacts have deteriorated through time, the government have restored it and put some replicas to keep the original look. The restoration costs 20 billion rupiahs (about 1,71 million in USD) and took six years to complete. This beautiful island is not well-known yet among travelers, which means it’s still unscathed from spoilage. As such, it’s a good reason to visit this island. The white sandy beaches are very alluring and relaxing. You can also snorkel in this island since the water is quite refreshing and clear. A perfect retreat from bustling civilization. Perfect place for an afternoon stroll, this lovely beach is a great place to enjoy a stunning ocean view. There are lots of stalls and hawkers so tourists can complement their activities with refreshing drinks and alike. Unfortunately, the abrasion has ruined the sands throughout the years. Now, there are only a few parts of this beach that still has some sands left. The government used rocks and stone walls to fill the rest of the beach to prevent further abrasion. The beauty of this island has made it well-known to many international and domestic tourists alike. 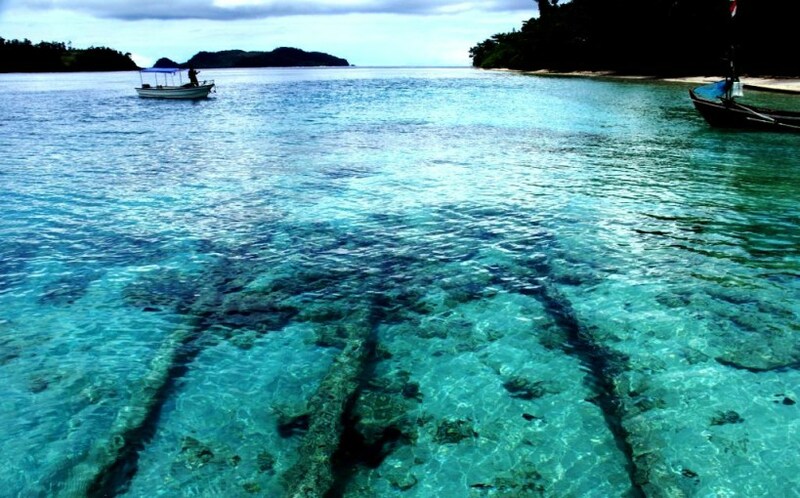 There are a lot of coral reefs around this island, many of them are still intact and pristine. This has made the island a perfect spot for diving and snorkeling. The clear water surrounding the island is a very big plus for that also. You can also do some adventuring by trekking inside the island. Legend said that the island is the place where Malin Kundang’s mother recite her curse, hence the name pasumpahan. It literally translates to oath or vow, signifying the gravity of the curse. 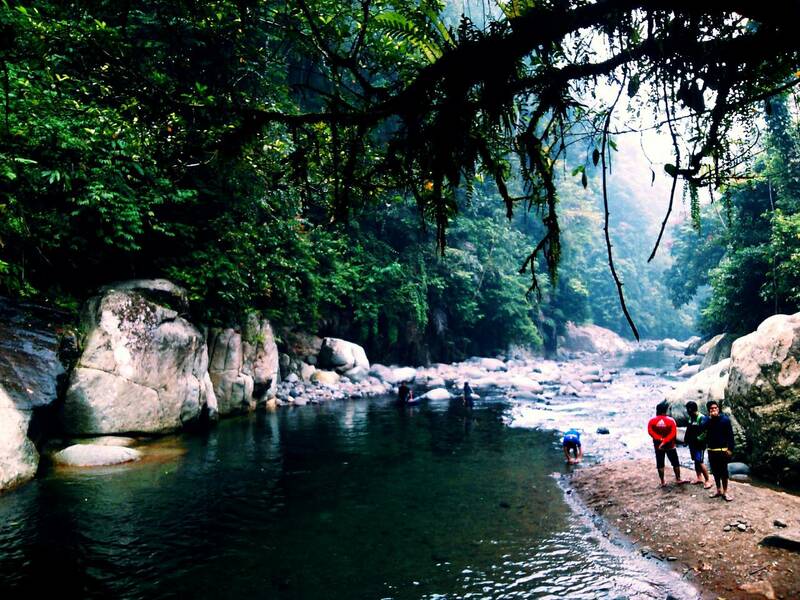 This hidden paradise is known for the appealing and lovely sceneries. With clear blue water and mild white sands, this island possesses so many charming spots to bask in the glory of nature. Perfect to make beautiful, natural pictures and videos. The island is actually still connected to the mainland by a causeway. However, the causeway will be submerged underwater during a tide, thus cutting off the island from the mainland. Hence, the island is called pamutusan which translates literally to severance. A beautiful crescent-shaped beach, Bungus beach offers an excellent view of the ocean from the surrounding hills. The water around here is warm and safe for swimming. Palm trees can be found everywhere in the vicinity, offering some protection from direct sunlight. You can also enjoy fishing in this area if you want. 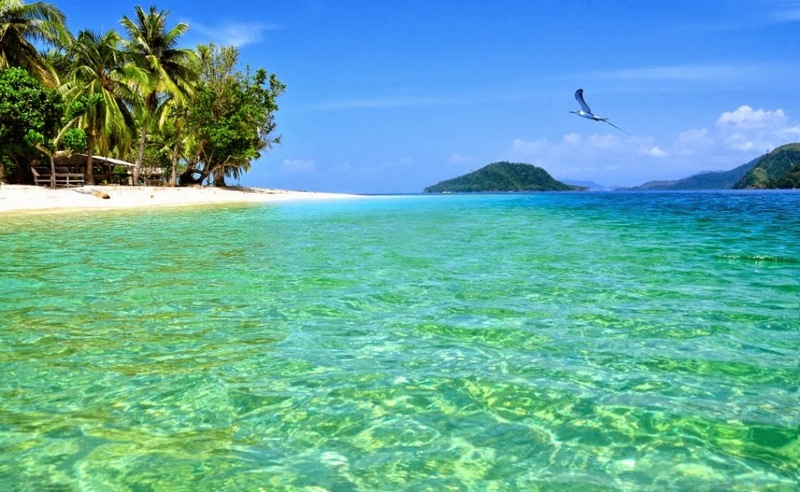 This exceptionally beautiful island is renowned among travelers and tourists alike. Since 1994 the government has developed this island to be a tourism destination. That’s why you can find a fantastic resort covering 2.4 hectares of this island. Enjoy everything that this exotic island has to offer, from watersport activities to walking down the beach and enjoying the amazing scenery. You can also opt for other land-based adventures, such as rock climbing and hiking through the forests. 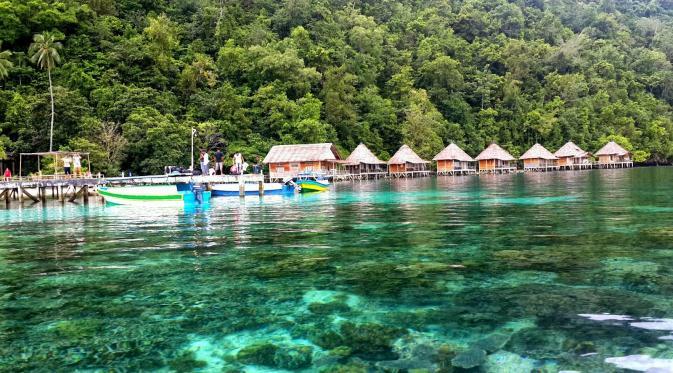 Dubbed as the Raja Ampat of the west, this 18.000-hectare area located south of Padang is truly a diamond in the rough. There are around 8 dive spots around Mandeh with pristine coral reefs and wonderful pelagic fishes. There is also a Dutch ship wreckage in the area, which is perfect for divers to explore. The waters are extremely calm due to a number of islands surrounding this area that blocks the waves from the ocean. 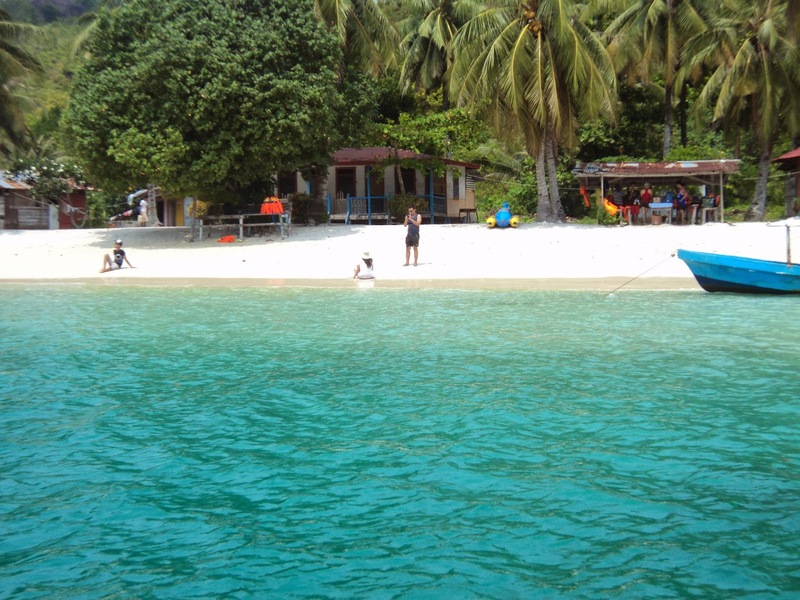 Take a hike around Mandeh and view this beautiful chain of islands off the coast from a distance. With the abundance of amazing panorama in this area, Mandeh is surely a must visit place in Padang. Located west of Sikuai Island, Sirandah is an uninhabited island with a plethora of natural beauties untouched by modern civilization. The pearly white sands and bright blue water offer an amazing excitement of water-based activities. Snorkeling and diving are the most popular activity around this area. You can see a small turtle-shaped island from the western side of this island. You can also enjoy a night time view of Teluk Bayur and Padang city from this island. Certainly looks fabulous. Also known as Pulau Emas or Golden Island, the majestic coral reefs found around this area makes this spot a perfect place to dive. With clear and calm blue waters and the abundance of maritime life, tourists will surely have a good time snorkeling or diving here. There’s also a well-built resort in this island, the Suwarnadwipa Beach & Resort. Visitors could reach this resort from Bungus Beach, about 20 km or 30-minute cruise using a speed boat. In Minangkabau language, Maninjau means overlook or observe. This large caldera lake is surrounded by a beautiful scenic view and rural villages. 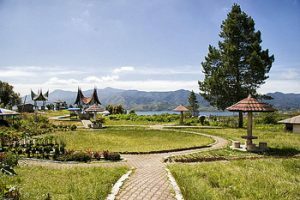 The panorama of this lake is exceptionally gorgeous, even the first president of Indonesia himself was so impressed during his visit in 1948 that he wrote a poem about the lake. Known as a good spot for paragliding, many tourists have come to this area to escape from the hectic city life. 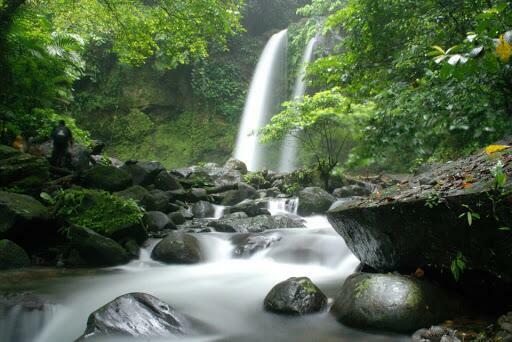 Located in the Anai Valley Nature Reserve area, you can see this waterfall from the side of the main road. 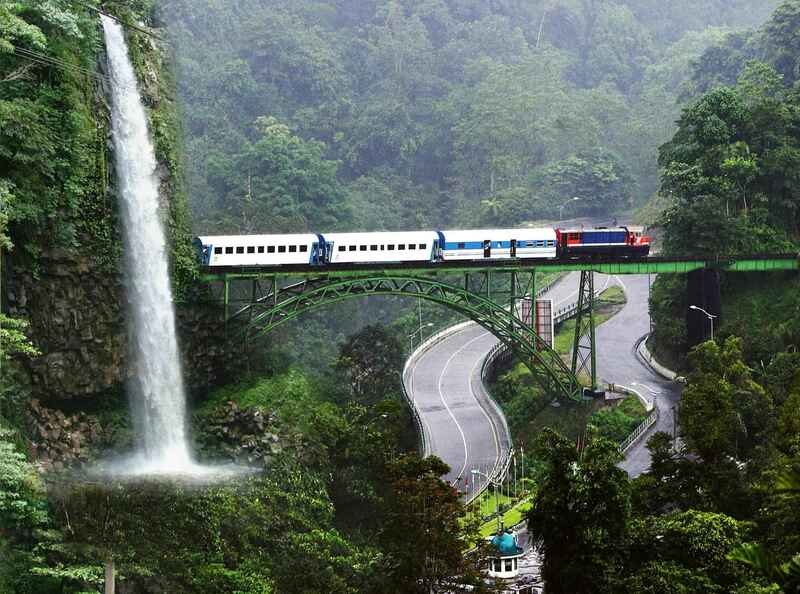 As the road is the main route between Padang and Bukit Tinggi, it is very hard to miss this waterfall. If you happen to pass by this waterfall, take a rest to enjoy the beautiful scenery from afar. A majestic looking waterfall located in the Padang Pariaman district. The water is refreshing and clear, and the view of the waterfall itself is marvelous. The trip to this waterfall can be quite challenging, and we suggest to hire a guide to make the trip easier. The waterfall itself is perfect for swimming or even jumping. There are a lot of big rocks along the river, and the breeze is extremely refreshing. You don’t want to miss these great places, tho. This magnificent mosque is built in 1805 and considered as one of the oldest mosques in Indonesia. It was the center of Islamic reform in the 19th century. Three historical figures initiate the construction, while Minang businesspeople and ulamas from all over Sumatra are funding it. 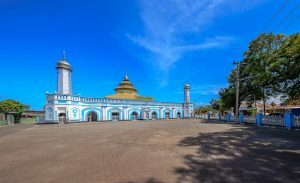 The mosque plays an important role during the War of Independence by providing safe shelter for Indonesian militias and revolutionaries. Often abbreviated as CHIP, this compound was built similar to a shopping mall. There are many shops and stalls inside that sells various items from foods to souvenirs. But the most eye-catching feature of this park is the ice rink where people can skate for quite a cheap price. It is the first ice skating experience in Padang. The floor of the arena is quite unique since it is not actually ice but some kind of wax, but people could still skate on it. There are a lot of beautiful gardens around the park to sit around and enjoy the relaxing atmosphere. If you bring your kids, there is a kids playground in this park as well. Another colonial Dutch legacy in Padang. 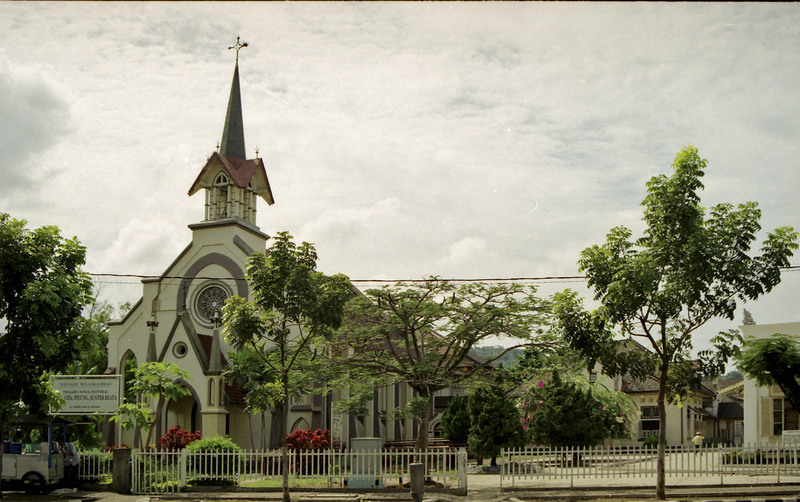 The Dutch use this Catholic school as a POW camp for Japanese prisoner during the World War II. They treat the prisoner here harshly according to this site. 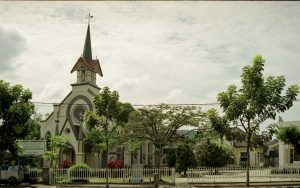 The colonial Dutch built this chapel in 1903 and it still exists to this day as one of their legacies in Padang city. The architecture greatly resembles the European style, and it is one of the favorite tourist attraction in this city. The great earthquake in 2009 wrecked this lovely chapel, but it has been extensively rebuilt ever since. In the opposite of this chapel lies the St. Theresa cathedral. 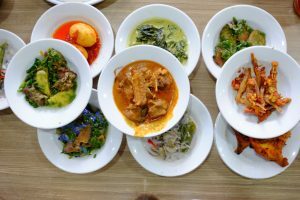 Finally, Don’t Forget to try this great tasteful food everybody cannot live without, things to do in Padang Indonesia. What to eat in Padang Indonesia? You should definitely try the local dishes when you visit Padang. The cuisine is renowned by everyone in Indonesia for its richness in taste and scrumptious curries. The absolute have-to-try here is the famed rendang beef, ayam pop, and satay. Meanwhile, Rendang is noted as the most tasty food in the world . Since Minang people has a deep Islamic root, almost every food served in Padang are halal. Don’t be surprised if the waiter put all kinds of food on your table, even when you didn’t order it. You only have to pay for what you eat, so just take what you want to eat, and leave the rest. Getting into Padang is quite easy, there are several airlines servicing the flight in and out of here. You may need to transit in Jakarta first, then head to Padang. Also, you may find airlines from Batam, Medan, Bandung, or Nias with Padang flight destination. Then, don’t worry that there also flight right to Padang from Kuala Lumpur. 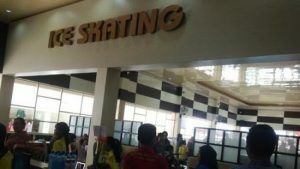 The Minangkabau International Airport (BIM)is handling all of these flights as the main gateway to West Sumatra. So what are you waiting for? There are so many fun things to do in Padang Indonesia. Time to pack your bags and enjoy the very best of Padang right now!